Another way to view that is turning from the hips and that is a correction/admonition you see in Chen taiji - do not turn/twist the dang (crotch). The character niu is used which means turn/twist and also swing the hips. A basic idea of body mechanics in taiji is that the waist is like an axle. If you turn the hips, not the waist, you'll get that correction, but I can't really say if that is what the OP means without context. robert wrote: Another way to view that is turning from the hips and that is a correction/admonition you see in Chen taiji - do not turn/twist the dang (crotch). The character niu is used which means turn/twist and also swing the hips. A basic idea of body mechanics in taiji is that the waist is like an axle. If you turn the hips, not the waist, you'll get that correction, but I can't really say if that is what the OP means without context. Verbal descriptions quickly fail. For example, some styles/teachers include the hips as part of the "waist". As far as I know, most/some Wu style does not rotate the shoulders out of the plane of the hips - "waist" rotation - but adhere to the principle of the waist as an axle. Last edited by charles on Sun Feb 03, 2019 12:58 pm, edited 1 time in total. charles wrote: Verbal descriptions quickly fail. I agree and I suspect you didn't understand what I meant. If you initiate movement from the waist and the body is connected and relatively relaxed the hips and shoulders, for the most part, will follow the waist and will move together. It's not that the dang doesn't turn, it clearly does, its that movement is not initiated from the hips. Movement is initiated from the dantian. I've trained with Chen Bing, he's very clear that it is the dantian that initiates movement. Discussing it we run into problems because if you look at the muscles associated with the dantian they are the muscles of the kuas and yao. 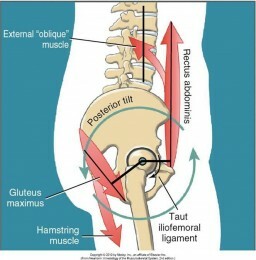 Nonetheless, I suspect most people who do CIMAs understand the difference between initiating movement from the waist and initiating movement from the hips. The Chen saying, do not turn/twist the dang (crotch), might be understood more clearly in light of a correction/admonition I got more than once from Chen Bing. He would say, don't use your shoulders. You clearly use your shoulders in Chen taiji. The hands move, for the most part, because the shoulders move. When you do lu the shoulders rotate. What he meant was don't move the shoulders locally, turn your dantian/waist and the shoulders rotate. Saying don't use your shoulders doesn't mean the shoulders don't move. The same is said for the dang. Is that more clear? The pelvic and shoulder girdles are fairly similar in terms of dantian movement - hips and shoulders are related in six harmonies movement. Again, I don't know if that is what the OP means. Last edited by robert on Sun Feb 03, 2019 2:59 pm, edited 1 time in total. robert wrote: The same is said for the dang. Is that more clear? I think I understand what you are saying. That is, the hips/crotch turn as a result of the dan tian moving, not by themselves, not driving the motion. Regardless, they do appreciably turn. My point was simply that some variations of Chen style do teach the turning of the hips/crotch while others do it differently and do not turn the hips/crotch, instead turning/twisting the waist while the hips/crotch turn little if at all. I'm not saying one is "right" and the other "wrong", only pointing out that some do it one way, some do it another. Watch CXW or ZTC, for example: they don't turn the hips appreciably and don't teach the knees moving in figure 8's. Interesting in the clip he talks about direct training to train this, but they do not teach awareness of the coupling systems themselves . Might be what some posted here is gaining a direct awareness of the coupling systems and using this through training to make the most efficient use of them. Last edited by windwalker on Sun Feb 03, 2019 5:34 pm, edited 4 times in total. charles wrote: I think I understand what you are saying. That is, the hips/crotch turn as a result of the dan tian moving, not by themselves, not driving the motion. Regardless, they do appreciably turn. charles wrote: My point was simply that some variations of Chen style do teach the turning of the hips/crotch while others do it differently and do not turn the hips/crotch, instead turning/twisting the waist while the hips/crotch turn little if at all. I'm not saying one is "right" and the other "wrong", only pointing out that some do it one way, some do it another. Watch CXW or ZTC, for example: they don't turn the hips appreciably and don't teach the knees moving in figure 8's. Yes, I agree. I suspect it's a question of how different people teach. Chen Xiaowang does not seem to like exaggerated movement. CXW does a warmup people call hip rotations and one of the patterns is figure eights, but it's not really visible when doing the form. Big movements seem to get worked in warmups. CXW was the person who corrected me with the admonition don't turn the hips. That was in a private lesson and we worked on it until I was doing it better. I wouldn't say one method is better than another, but using exaggerated movements while learning has helped me and I like watching videos of CZL and CY.